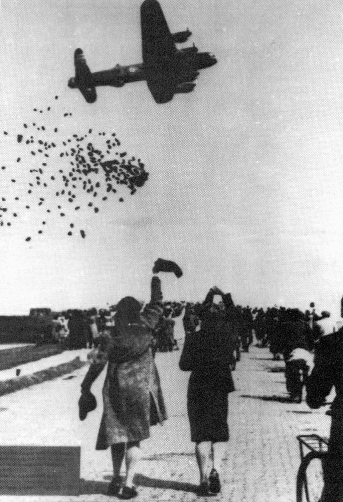 The Nazi Germans in the Netherlands were using starvation as retribution and air drops were the only way to save thousands. The RAF and American bomber crews provide the solution. 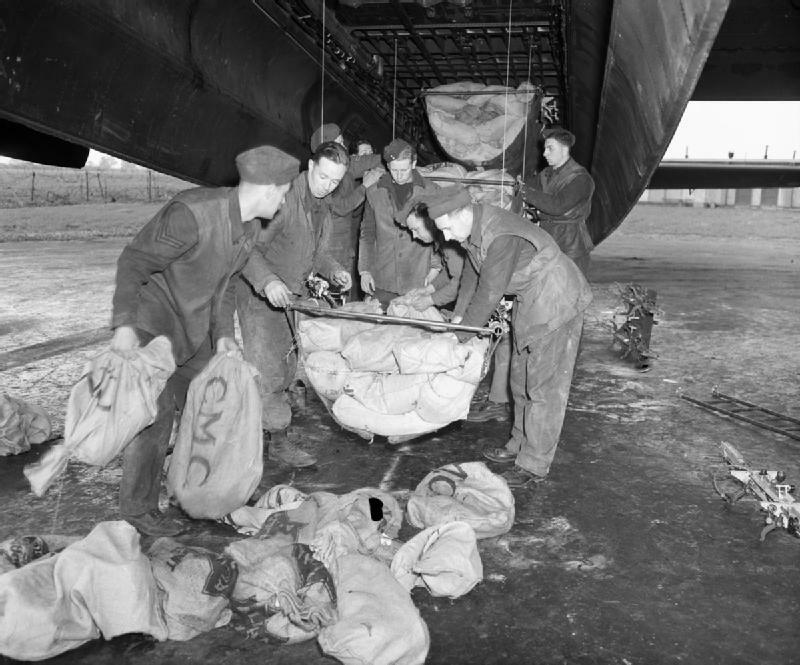 A Lancaster bomber drops relief supplies to the Dutch people. 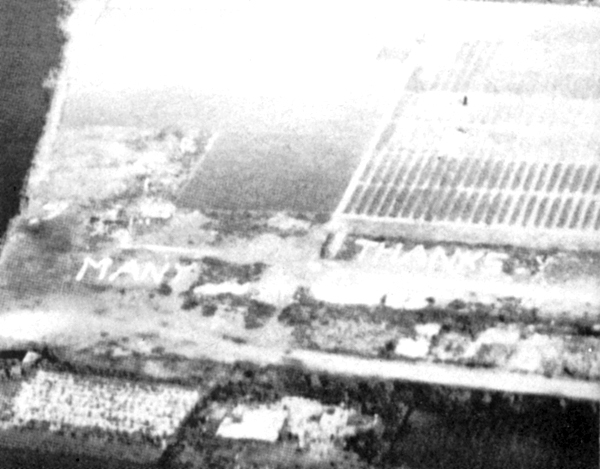 The people of the Netherlands spell out their thanks.